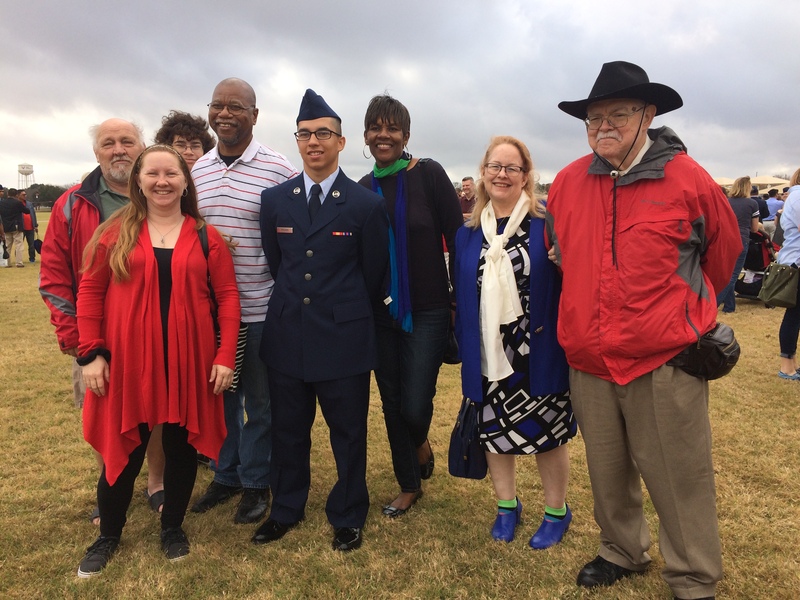 Five grandparents attended the ceremony along with Donovan’s mother, Amanda and his younger brother, Kane. His great grandfather and great-great grandfather would have been so proud; certainly his living grandparents are proud. My sister and her husband made it down to San Antonio too. They have a son living there. We had a great time eating good food and driving down memory lane since my sister and I grew up in San Antonio. 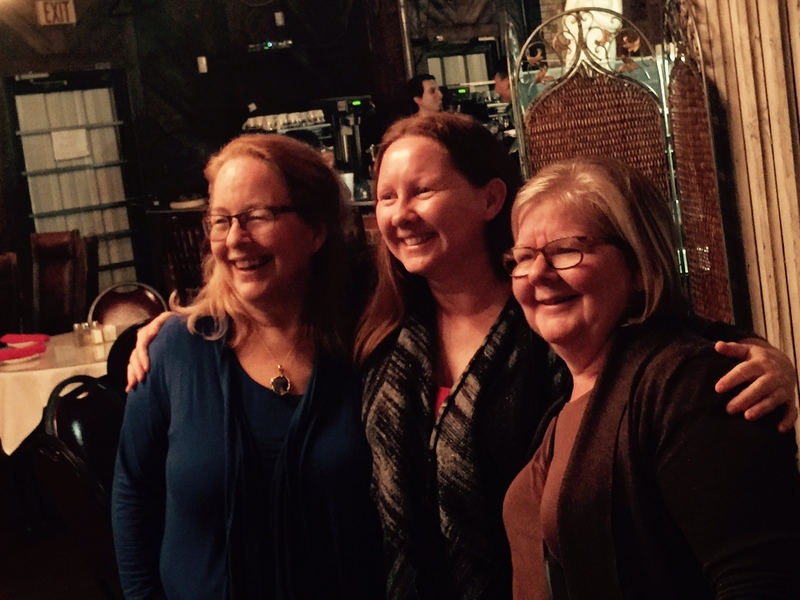 I loved this picture at the Italian restaurant of myself, my daughter Amanda and my sister, Laurie. 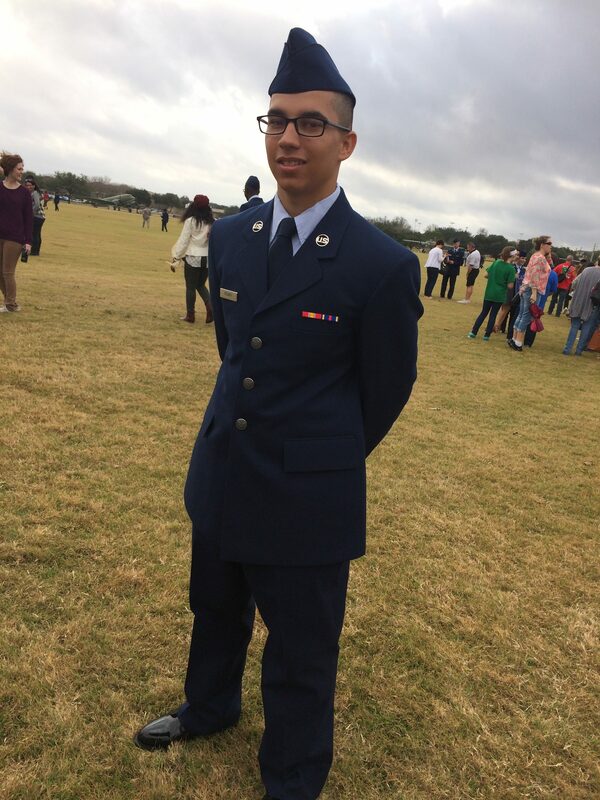 Donovan, our new airman is now off to new adventures and further training. Donovan, we wish you all the best and thank you for your service! This entry was posted in Air travel, Aviation, family, genealogy, photos, planes, travel. Bookmark the permalink.